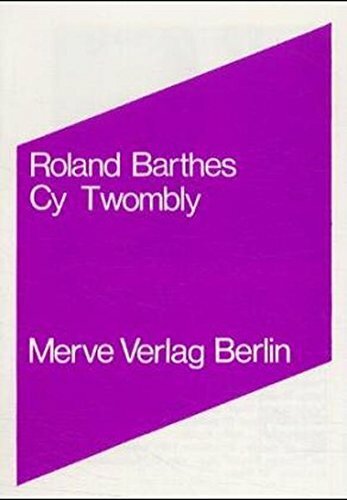 CY TWOMBLY GRANTED WITH THE JULIO GONZÁLEZ PRIZE. Valencia (Spain) (23.10.2001). The American artist Cy Twombly has been granted with the Julio González Prize in acknowledgement of his work and contribution to highlighting artistic creation on an international scale. The contemporary artist Georg Baselitz was granted with this prize last year. This Prize is awarded by a Council decree issued by the Government of Valencia, Spain, on the recommendation of the Director of the IVAM, Kosme de Barañano. On this occasion, González's heiress, Viviane Grimminger, and the first Director of the IVAM, Professor Tomàs Llorens, have given their advice concerning the granting of the prize. The Julio González Prize is an edition (2/5) of a figure by Julio González, “Mujer con Ánfora II (c. 1929-30)” The value of the piece is between 170.000 and 230.000 euros, which makes this award the one with the highest economical value awarded internationally. The piece is casted in bronze with a silver plate finish taken from a bronze model, découpé and fashioned by hand, that belongs to the IVAM collection. This piece, with its flat silhouette like a drawing in space, is reminiscent of the votive statuettes of ancient Mediterranean tradition, maidens bearing gifts with a pitcher on their heads; the figure itself becomes an amphora, an offering. Cy Twombly´s artworks are displayed in the permanent collections of the most relevant museums throughout the world. MoMA, Whitney and Guggenheim (NY, US), Houston (US), Kunsthalle (Berna, Switzerland), Zurich ( Germany); Pompidou (Paris, France), etc. Likewise, prestigious institutions have devoted to Twombly solo restropective exhibitions. Cy Twombly will attend the prize ceremony that will be held at the IVAM in March, 27, 2002, the day that the city commemorates the death of the artist Julio González. Cy Twombly (1928), born in Lexington, Kentucky, Cy Twombly studied art in Boston, New York and at Black Mountain College in North Carolina, where he met John Cage, Robert Motherwell and Robert Rauschenberg. Twombly moved to Rome, Italy in the late 1950's. There his compositions became more elaborate and the paint surface denser and more textured. His paintings took on the look of ancient Roman walls mixed with references to the antique in colour and markings that often refer to Homer and the Iliad. At once epic and intimate, Twombly's work is infused with references to literature and landscape, especially that of the Mediterranean. Twombly’s work is filled with references to his adopted home as well as to a broader neo-classical tradition; he often alludes to mythological subjects, Old Master painters, and local places or events through his titles and scrawled words or phrases on the surfaces of the works. Idyllic landscapes and their connotation of bacchanalian pleasures have consistently provided Twombly with inspiration. Cy Twombly, creator of an extensive oeuvre of paintings memorable for their personal style and unmistakable in their subtlety and passion, is little known as a sculptor. Not until Nicola Del Roscio published the catalogue raisonné in 1997 did it emerge that Twombly had made as many as 148 sculptures in a variety of locations, starting in the mid 1940s and continuing sporadically to this day.